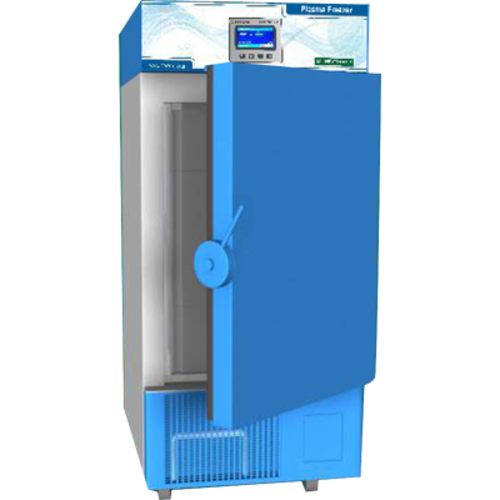 We have developed a revolutionary ultra-low temperature freezer that seamlessly joins the ranks of proven NEWTRONIC products in terms of reliability as well as setting new standards for safety. In addition, our commitment to after sales-support & service ensures satisfaction throughout the life of your product. Whether storing blood products, reagents, vaccines, or medication, a NEWTRONIC product offer true protection. We are introducing an intelligent freezer with unique features of extended warm-uptime, remote monitoring, SMS alerts. Constructed from high-quality proven components with energy-efficient refrigeration design, ULT freezers provide top notch performance that can withstand the test of time to guarantee the integrity of your samples. For over 30 years now, NEWTRONIC LIFECARE has established itself as one of the leading brands in the space of Laboratory Equipments. Started in 1976 as a small unit in an area of 200 sq. ft., we have grown to our own state-of-the-art facility of over 50,000 sq. ft. at Kandivli, Mumbai. Through a setup of task-specific departments, inter-department synergy & adherence to processes, we ensure a professionally managed environment for our employees & customers. Our utmost aim is to provide the highest level of customer satisfaction through high-quality products, timely delivery & efficient after-sales service. Our unparalleled USP is our excellent consultancy in ICH Guidelines, Regulatory & Compliance Requirements especially duringOur skilled R&D team diligently strives to bring excellence and perfection in what we do. We understand very clearly that the backbone of a successful customer relationship is an after-sales support that responds quickly & efficiently. We have therefore established service centers in all the major Pharma hubs & states of India as well as in 35 countries internationally. As we continue to raise our bar on service & quality, we reaffirm our commitment to innovation, new range of products, costeffective solutions & a long-term commitment to the industry. US-FDA, MHRA, TGA, WHO & all other audits. Constant focus on technology innovations and design excellence has made our products a trendsetter & a leader in all respects. The sophistication of our products continues to grow as new features get added in response to customer needs.